In Defense of Our Nation: A Conspiracy You Say? Years ago, anyone talking about a New World Order and an attempt to reduce the worlds population would be labeled a conspiracy theorist. While the government would likely target you for holding those beliefs, it is getting harder and harder to deny that this isn't a conspiracy theory, but a conspiracy fact. All you have to do is look at the constant efforts to delegitimize human life itself, and it becomes crystal clear that there is an agenda. For years we have been told that human activity is causing catastrophic climate change. Today, human beings are viewed as a scourge on the earth and many in the younger generation believe that something must be done to solve this non-existent problem or else, as Alexandria Ocasio-Cortez says, the world will end in twelve years. Additionally, in 2015 United Nations climate chief, Christiana Figueres, publicly stated that the world should make every possible effort to reduce the population in order to save the planet. New York City just passed a law legalizing abortions right up to birth, and they celebrate this as an advance in women's rights? Imagine the lifelong psychological conditioning required to teach a women that it is a human right to murder her own child. It has been argued that a mother should have the right to kill her child after birth if the child would be some kind of burden on the family. In fact, Peter Singer, a professor of Bioethics at Boston University, (a person in an influential position to shape young minds in other words) argues that a newborn has no claim to the right to life because they are not self-aware or rational beings. He goes onto say that certain animals are born with more self awareness than human babies yet, we don't place as much value on their lives. Therefore, it is justifiable to kill human babies after birth. Democrats claim to be for American values and defending the vulnerable. Whose more vulnerable than a newborn? Where's the value in killing new life? The younger generation is being bombarded with anti-family propaganda under the guise of transgenderism. Kids across the country are being taught that there are more than two genders and that it is a human right to self identify with which ever gender they choose. Furthermore, to deny them this right or to fail to recognize their preferred gender pro-noun is considered a form of bigotry. Furthermore, there are efforts underway, through public education, to push homosexuality on our children as well. Not only does this corrupt the youth, it also prevents them from reproducing if they pursue the homosexual lifestyle. Could that be the larger agenda? Men are under full frontal assault. Any characteristic that was once considered masculine is now viewed as toxic. The "Me Too" movement has been weaponized and turned into a vicious man hunting machine where any behavior viewed as traditional "courting rituals" is now a form of sexual harassment. Women, through the feminist movement, have been conditioned to place careers above family and child rearing as an oppressive, patriarchal subjugation of women. The American birth rate is declining drastically, enough so that it will be impossible to maintain our culture. Could it be possible that this is due to the constant propaganda and attacks on our nation's traditional values? Gun control. The federal government is poised to pass the most oppressive form of gun control imaginable. Something akin to what the Soviet Union did. Red Flag gun laws. Under Senator Rubio's bill, the Attorney General would have the power to give grants to states that pass their own Red Flag gun laws. These laws completely deny an individual due process rights or any knowledge whatsoever that they have been deemed a threat to themselves or others. Armed law enforcement officers, under the unsubstantiated belief that you are somehow a threat, simply show up to your home to confiscate your guns and it is on you, under these laws, to prove your innocence.To deny individuals the inalienable right to self defense is on par with denying a new born the right to life. It shows that those passing the laws place no inherent value in being human. Considering that all gun laws only affect the law abiding willing to comply, and not the criminals intent on murdering gives more weight to the prior statement. Everyone of these subjects could be elaborated on a great deal more. The one thing they all have in common is that they attack the value of human life. Little by little, inch by inch, our beliefs and traditional morals are being muddied and diluted with the objective of causing so much confusion that the general population simply doesn't know what to believe. If we don't know what to believe we certainly can't defend or argue for a particular belief. The constant attacks against our nations character, and the integrity of our people are carefully orchestrated propaganda campaigns designed to silence and breakdown our beliefs not only in ourselves, our nation and traditions but in God. Television, video games and an overall lack of having any responsibility for anything is exacerbating the problem. Too many people feel that these problems aren't their responsibility. Too many Americans, for example, will simply go along with the passing of Red Flag laws because they will feel it doesn't affect them. They are indifferent to the consequences of accepting abortion at the point of birth because they have been conditioned to believe that it isn't their place to judge. They won't stand up and defend Americanism because of the false associations made between American values and racism. Nothing short of a mass awakening of the American conscience will turn us around and set the sails right. We have been psychologically conditioned to accept our own downfall in order to push a globalist agenda. By accepting the premise in any of these subjects we have made it easier for them to continue the devaluing of life. 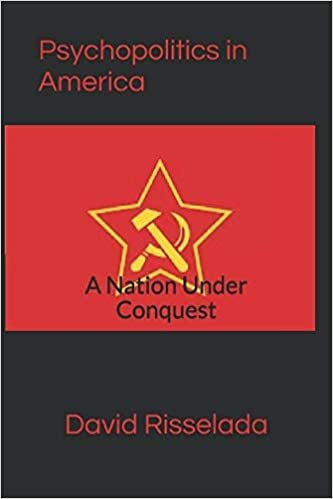 The Communist Peace Offensive A campaign to disarm and defeat The United States. One Governors plan to destroy your country. This book is only for those who can accept the truth. Watch Eric Holder admit the need to "brainwash" people against guns. In 1929, the Soviet Union established gun control. were rounded up and exterminated. themselves were rounded up and exterminated. the 20th Century because of gun control: 56 million. hear politicians disseminating this information. Even though this film depicts the evils of Communism from a Muslims Perspective it shows the tragic history of what happens when God is forsaken for social science. Silence in the face of evil, is itself evil. God will not hold us guiltless. Not to speak is to speak. Not to act is to act.